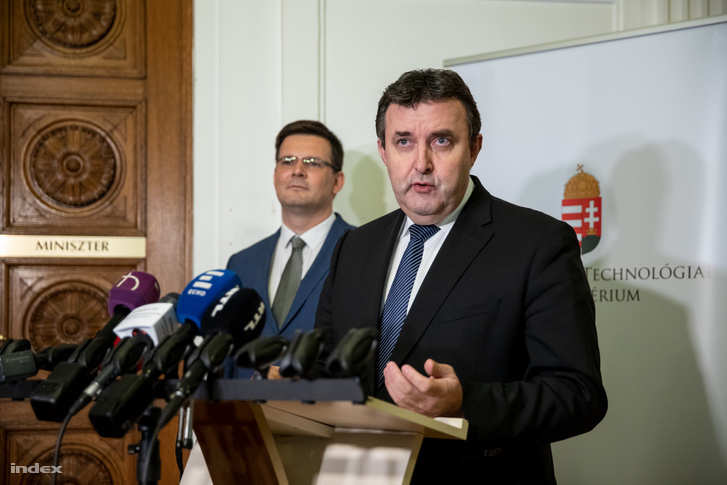 After a long-drawn battle lasting months, the Hungarian Academy of Science (MTA) has come to a basic agreement with the Ministry of Innovation and Technology. MTA has agreed to be separated from its research institutes, in return the network of institutions will stay together, keep the MTA brand, and MTA gets to formally keep its assets. But it's still a question for the future how this framework will be filled with substance, and if academic freedoms stay protected. On Friday, another turn of negotiations took place between MTA and the Ministry, and the parties are finally approaching a final agreement. László Lovász, the president of MTA and Minister of Innovation and Technology László Palkovics have signed a statement of intentions. the government takes the network of research institutes away from MTA starting on 1 January 2020. The network will stay together, and any structural changes have to be determined by the new Controlling Body. This body will be set up by the government and MTA, and the majority of its members will come from the scientific community. The assets belonging to the research network remain the property of MTA. The research network shall operate on a clear, long-term strategy that includes its financing as well. The research institutes will be independent of MTA but get to use its brand, if they abide by the requirements of the MTA. The research network will be operated by a separate legal entity, but the exact format will still be subject to further negotiations. The Minister makes sure that the resources necessary for the network's operation between 1 January 2019 and 31 May 2019 are available. Following an agreement on the above principles, the financing of MTA must be ensured at least on the 2019 level until the new control system takes effect. The government's intention is to increase research funding. The two parties have agreed to work out the details of the above, and the proposal for the final agreement will have to be approved by the general assembly of MTA. The fight for MTA and the funding of scientific research had been going on since last summer. Minister László Palkovics wanted to fundamentally reform the system of Hungarian academia and questioned the operation of MTA's research network - the cream of Hungarian academia. He demands higher government influence while blackmailing MTA by holding back its budget allocated by the law, so MTA accepts his conditions. These conditions, however, had been subject to constant changes. In June, the Minister stated that they are not touching the network of research institutes, now, through various phases, the situation is that the entirety of the network will be ripped away from the Academy. This was the most crucial point of the negotiations of the past few weeks for the Ministry, and now this statement of intentions means that the Academy has agreed to lose direct control over its research institutes that retain the MTA brand only on the label. As it has leaked before, Palkovics was telling Lovász (MTA president) before that the government is adamant that the research institutes do not stay with MTA, and they are better off if they agree to that, and lets go of the network itself. As we can see, the MTA delegates have ultimately accepted this at the negotiations. The new structure will be headed by a mutual body consisting of government delegates and academians. This means that the Academy and the Government will have an equal number of delegates, and the body's president will be nominated by the Prime Minister upon the suggestion of the Minister and the president of the Academy. This body will be able to decide crucial questions, such as the budget of the institutes - basically, the amount of research funding for each subject, and they will be competent in structural changes as well, so - if our interpretation is correct - this body will have the power to close institutes or parts of institutes. It is still unclear how the delegates will be nominated, as it seems there is no agreement on that yet, at least the current announcement did not even mention how many delegates will be in this body. What it says is that the majority involvement of the academic community will be ensured. MTA might still hope that there will be government-delegates who are committed to science, who will not allow academic autonomy to be diminished. Maybe that will be the case, but it's just that likely that the government gets the Academy to nominate delegates who are not that likely to stand up for that. What is already clear is that the government will gain significant influence in determining what academics will research on state funding. MTA will still retain indirect influence over the operation of the institute network, but at this point, the strength of that influence cannot be foreseen. 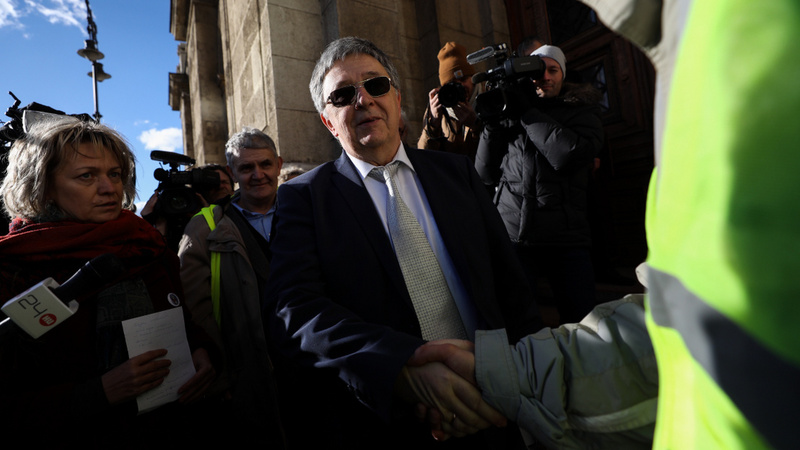 Earlier Palkovics wanted the research network to be owned by an asset management foundation, and this week, the Government created the legal possibility to do that, however, Friday's agreement does not mention that plan. It seems that a different structure will emerge, but it's not clear if researchers get to remain public employees, and statements from Palkovics point more towards the opposite. But MTA managed to get the government to compromise on certain subjects. Apart from MTA's indirect influence, the other most important thing about the network of research institutes was that it stays together, and the most endangered institutes such as the one for humanities or sociology are not closed. For now at least, because the agreement leaves room for structural reforms down the line. MTA's assets will remain the property of MTA, so the Academy gets to formally retain the research infrastructure, though the Academy will probably have no choice but allow the research institutes to use that infrastructure for free. MTA will, however, finally get the funding for 2019 that the Ministry held back to blackmail the Academy. The Academy and the Ministry will work out the details over the course of the following weeks - and these details are substantial, as there are a lot of open questions about the controlling body, but all in all it can be said that the Academy caved in to months of political pressure and willingly agreed to compromise and let go of its research network. The next question is if the Academy's general assembly and its research community will accept this. Lately, it seemed that they are demanding a much tougher stance on the issue, and many regard letting go of the research institutes as capitulation. The minutes of the negotiations at the Ministry that leaked to political daily Magyar Hírlap show MTA's deputy presidents to be open to compromise and a lot of researchers did not take kindly to that. The current statement of intentions will have to be approved by MTA's board and its general assembly, if they don't choose direct confrontation instead. This article is the translation of the Hungarian original published by Index.hu.